24 March 2015 – Victrex plc, a UK-based global world leader in high-performance Polyaryletherketone (PAEK) polymers is planning to increase its global technology leadership with the construction of a major Polymer Innovation Centre in northern England. 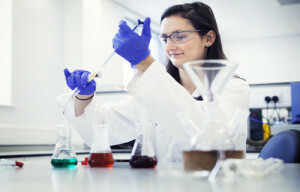 Financial assistance for the project has come in the form of £1.3 million in grant funding from the UK government’s Regional Growth Fund, subject to satisfactory due diligence, which recognises the vital, rapidly accelerating importance of high-performance polymers in the global marketplace. High-performance polymers based on Polyaryletherketones (PAEK), including VICTREX® PEEK, are increasingly being sought out for this and other demanding applications in industry sectors that include consumer electronics, automotive, energy and medical. At the same time, Victrex is helping manufacturers to meet the need for demanding more efficient processing techniques, in order to save costs and speed up time-to-market. In a fast-moving market which thrives on continuous advances in Research & Development (R&D), the planned Polymer Innovation Centre will increase capacity to turn lab concepts – engineers’ dreams – into real-world solutions and processes that can sustain mass production. The facility will enable the scaling up of new products and applications to full commercialisation for Victrex’s global customers. Victrex has always maintained a relatively large investment in R&D and the Polymer Innovation Centre will sustain that theme. In 2014, Victrex invested over £15m, 6% of sales, into its R&D programmes. The new investment, together with funding from the UK government´s Regional Growth Fund, will build on that record, while also recognising the future jobs potential for the north-west of England, where Victrex’s headquarters are based. The project is expected to help in the creation of over 80 direct and indirect jobs over the next 10 years and could ultimately see a total £16 million investment. Victrex’s return to double-digit growth in 2014, with sales of £253 million, was helped by a strategy that focuses on high-volume and high-value targets and utilises the company’s technical excellence, marketing know-how and innovation across its five chosen focus markets of Automotive, Aerospace, Electronics, Energy and Medical.